I had printed the butterflies for another project and they were sitting on my desk. I decided to use them to make cards for my stash. 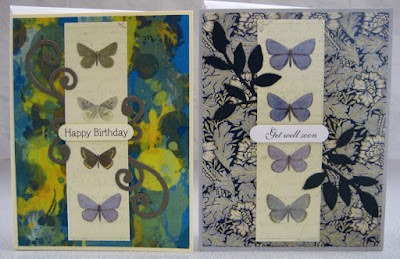 I used to different decorative papers for these two cards. The aqua one is decorative scrapbook paper and the blue one is a digital decorative paper which I laser printed and trimmed down. 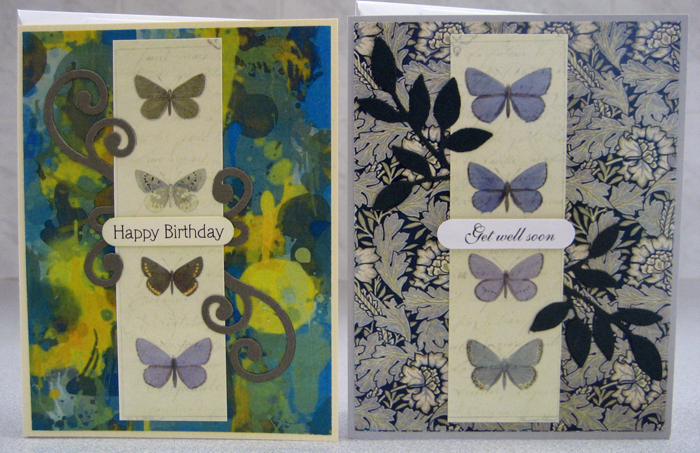 I added swirly die cuts (SX) to both of these in colours that coordinated with the background papers. I had to sponge the edges of the focal element on the aqua cards to get it to contrast nicely with the background paper. 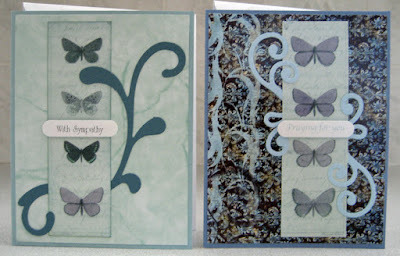 I added laser printed greetings punched with the Word Window (SU) overlaid onto the butterflies. 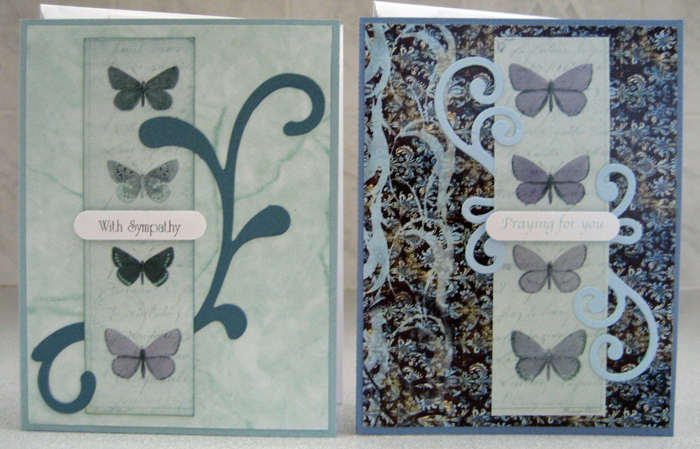 For these two cards I used laser printed two digital decorative backgrounds (Pixabay) and trimmed them to size. I mounted the to coordinating card fronts, added die cuts that coordinated (SX) and mounted little laser printed greetings punched with the Word Window punch (SU).